Hamadan is a collective term for a variety of carpets knotted in the region around the city of the same name. 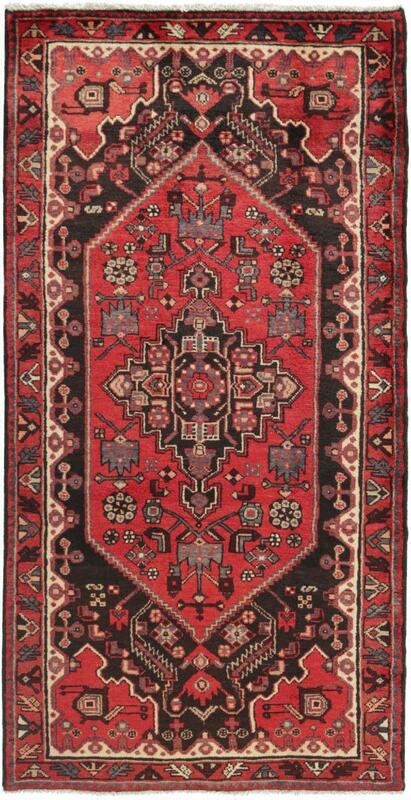 The Persian carpets knotted in the villages and towns surrounding the city may vary greatly. Whether pattern, quality or knotting density - almost anything is possible. Fine carpets of this carpet provenance are for example Hosseinabad or Nahawand. Simpler qualities can basically be found under the collective term Hamadan. While handspun yarn was previously used for all Hamadan carpets, nowadays industrially produced yarn is also used for more economical carpet variants. In these cases, less elaborate colours are used to dye the yarn. For these reasons, the right choice is important. 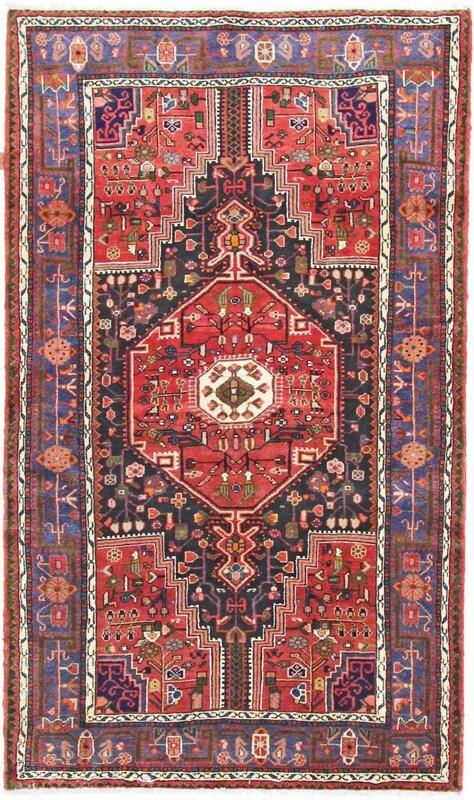 The well-known Herati pattern and classic colours such as blue and red predominate. The first is traditionally made from the indigo plant, the second from the dyer-crab, which is so often used in Iran. Geometric patterns predominate in the knotting. Nevertheless, floral patterns can also be found on Persian carpets. Especially older carpets of the Hamadan region enjoy a good reputation. They were knotted on cotton warp. They were called Shahr-baff, which is a combination of the words city and knots. Unfortunately, these carpets are rarely to be found. In principle, carpets of this provenance are everyday carpets, which have their strength especially in their robustness. These rugs have been provided from an assortment of over 860 Hamadan rugs by Nain Trading from Hamburg. Hamburg, Germany is still the most important hub for the trade of oriental rugs in the Western World with Nain Trading offering one of the largest assortments of handmade oriental carpets worldwide. Location - where do I find the city Hamadan? The city lies west of Tehran and is one of the oldest in history.